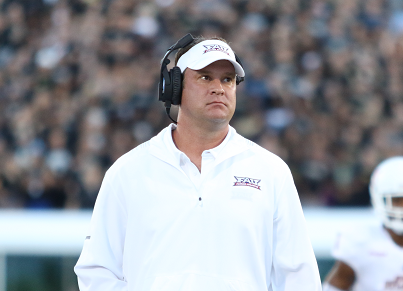 Florida Atlantic Head Coach Lane Kiffin met with members of the media on Sunday. Below are the highlights of his session, including issues with the defense, the play of Devin Singletary, quarterback play, and a little bit on the Blue Raiders. Has there been one glaring issue with the defense this year or is it multiple things? It is multiple. Lack of turnovers, poor tackling in space and not a lot of pass rushing upfront. Not a very good combination. Does that surprise you considering we really thought this would be an attacking defense, that you're not getting the pass rush that you thought you would get? Yeah, it is surprising. All the returners and also, we go against them all the time. That has been a strength. Just a surprise with the lack of it on gameday. Will there be anything specifically charged to the defense this week as you get going for Middle Tennessee? We have to play better in all areas. We have to tackle better in space, especially in the backend. We've got to play better upfront. Do you think the defense maybe needs to take a simpler approach? No, I think we just need to execute. When you've got them backed up on third down, ready to get off the field we can't grab a jersey and get a PI. Things like that. I know they can do it because we have showed it at times, (we've) played well. Were you encouraged by Motor's (Devin Singletary) play on Friday? I have always been encouraged by his play…especially in the Air Force game, the amount of people in the box was just crazy. These guys (UCF) basically played quarter's coverage 80 to 90 percent of the snaps, so that helps a little bit. Obviously, that is a little easier to run against. And then, he made the DBs miss a lot of tackles in that game, especially Nevelle (Clarke, UCF's junior defensive back). Are you more pleased with the running game, despite the loss against UCF, with Motor (Devin Singletarry), Kerrith (Whyte) and (Gerald) Hearns? Are you pleased with how they have developed over the year so far? Yeah, like I said to the players, when we challenge players or units, it is obviously to get them to perform better and play better. We kind of challenged the offensive line after the first two weeks. We have got to be able to run the ball better and they have responded with back-to-back games with over 320 yards rushing in both games. That's pretty good obviously. Even though Oklahoma and UCF were losses, do you still see those as a benefits of getting battle-tested and getting ready for conference play? Yeah, there is always good and bad to everything. So, when they scheduled obviously they looked at this and said Oklahoma is probably a perennial top five team and UCF (is) the hottest team in the country. There is good and bad. It's good because we played two really really good teams. The bad side is, it can mess with some people's confidence. Speaking of Oklahoma they struggled against Army and had to go into overtime to win, and Old Dominion beat Virginia Tech at home. Are you frustrated that FAU has not found a way to really put a dent into one of those top 25 caliber teams, like Army and Old Dominion did this past weekend? I would love that, all of us would. Those don't happen a lot. That is why, even though Army lost, you are still asking about it. Those things are pretty rare that a top 20 opponent loses to one of these level schools. It is what it is. Old Dominion is a team that you have in two weeks. What were your impressions seeing Old Dominion pull that off against Virginia Tech? That just shows you, you never know what is going to happen. Old Dominion got blown out by Liberty and I think lost to Charlotte. I don't think anybody would have predicted that would have happened. What do you see from Tim Bonner? It seems like he has taken that second year jump that we all thought he was going to. Tim does some good things. One of the difficult things about these two road games that we've had, those are arguably two of the top five offenses in the country. That go really fast like that. Sometimes it is hard to really get set and get everything done right, especially as an end that can drop, rush and do a lot of different assignments. Tim will continue to play even more and do even better. I know that De'Andre (Johnson) has been mostly been playing against second- and third-string defenses. He seems to get the team into the end zone a lot. Is that noteworthy in the sense that he could get some more playing time? Yeah, it is. When he has gone in there, we have scored, so that is a good thing. You mentioned it, that it is against lesser players. But he is playing against who is in there and has done a good job. With Chris (Robison) and some of his inconsistencies they we see out of him, could that be attributed to him being young and learning at this level? I was concerned going into this game (UCF). Obviously, I didn't say it, but whenever you go against a veteran quarterback, especially a senior, like we did, those guys don't make a lot of mistakes, they usually play really well. Been there, done it. Not often do freshmen quarterbacks not make mistakes, especially early in the year and beat a senior quarterback like that. That was a concern going in. When Chris (Robison) won the starting job, was that what you guys accepted going in, that it would be kind of a project? Freshmen are always going to make mistakes, because they haven't played. He has been up and down which is what you see happens, especially in road games. Quarterback-wise, you guys missed out on (Brent) Stockstill from Middle Tennessee last year because he was hurt. What do you see from him? Great player. I watched him in the Syracuse game that he pulled off while he was injured at the end of it. Obviously, (he's) smart, savvy. Really, really good player. What about the rest of the Blue Raiders? What do you need to do to slow that offense down? What do you have to watch out for? The quarterback. You have to try to get him rattled somehow and get to the quarterback. Otherwise, he just kind of picks you apart. So, that is really where they kinda start at, is the passing game and get him going.